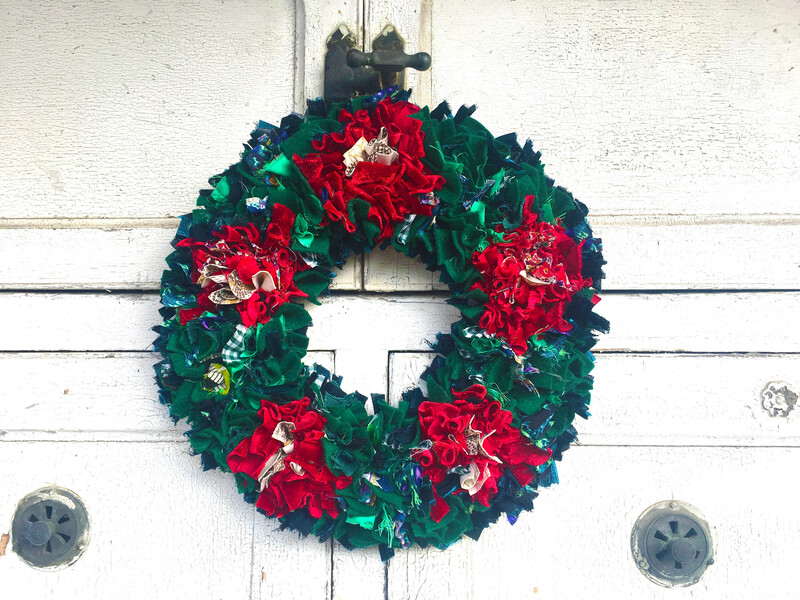 I always get so many compliments when I put my handmade rag rug wreath on the front door. 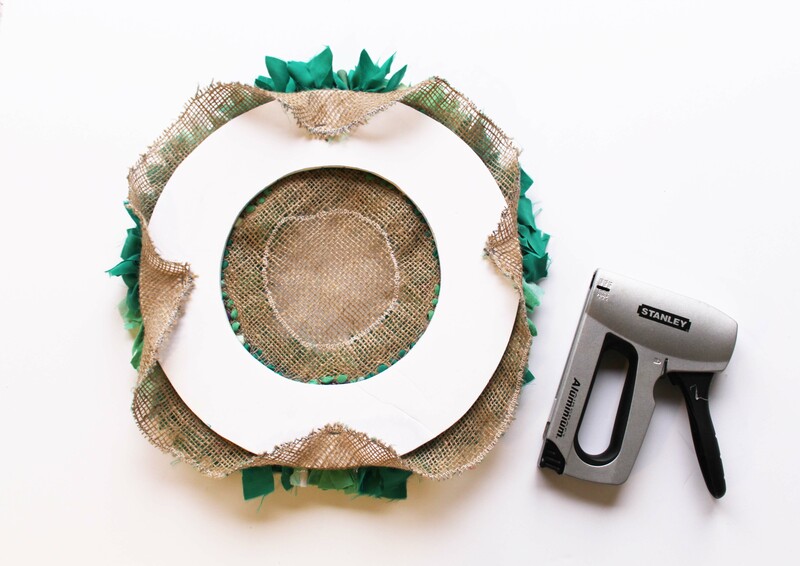 Steps 1-3 of our instructions below cover the hemming of the wreath hessian, as well as the preparation of the foam board mount. 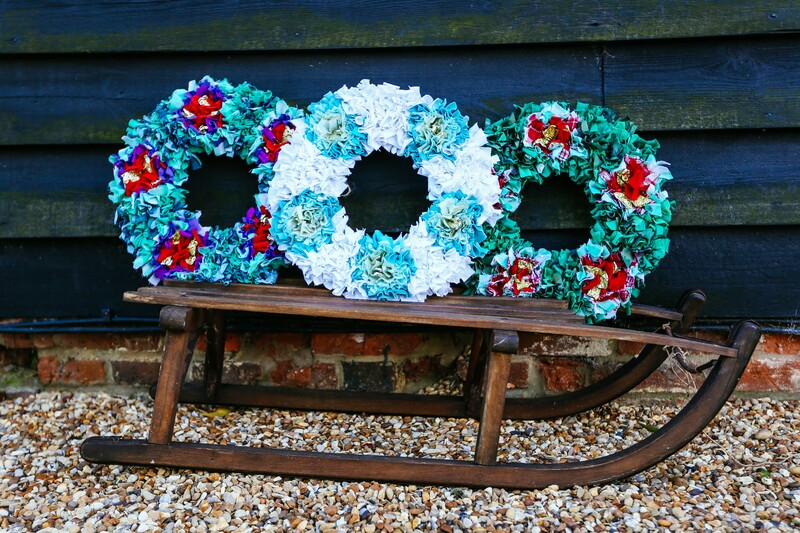 If you would like to save yourself the agro of doing these steps then you may want to buy one of our Rag Rug Wreath Kits or Hemmed Wreath Hessian, Board and Instructions (if you already have the rag rug tools). Trust me, you’ll probably thank me later! Also, if you’re completely new to rag rugging, then before getting started we recommend that you watch our Introduction to the Rag Rug Tools video so you know what tools are what. If you don’t have all the bits and bobs then you can buy any of them on the Ragged Life Shop. Use a marker pen to draw a ring onto foam board or cardboard. For a large wreath we recommend an outer ring diameter of 33cm and an inner ring diameter of 19cm, and for a small wreath we like to use a 28cm outer ring diameter and 16cm inner diameter. 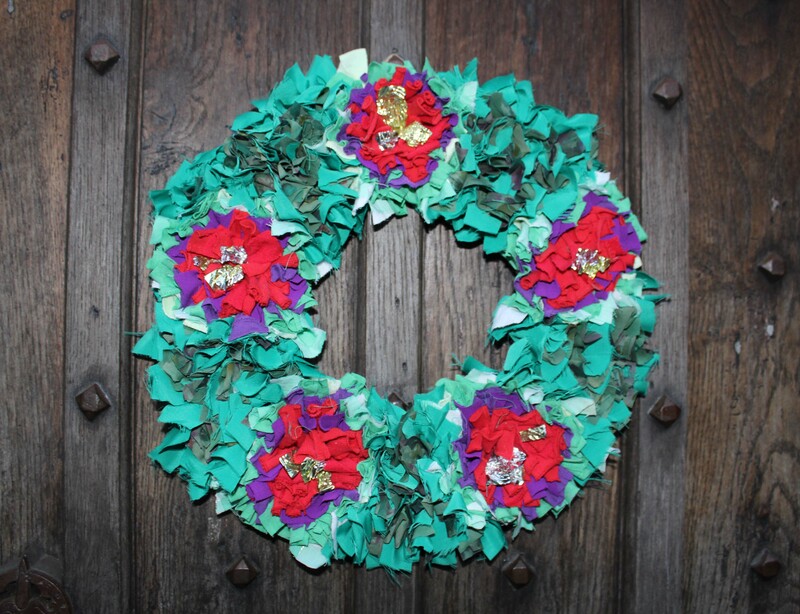 However, you can make the wreath as big or small as you’d like. 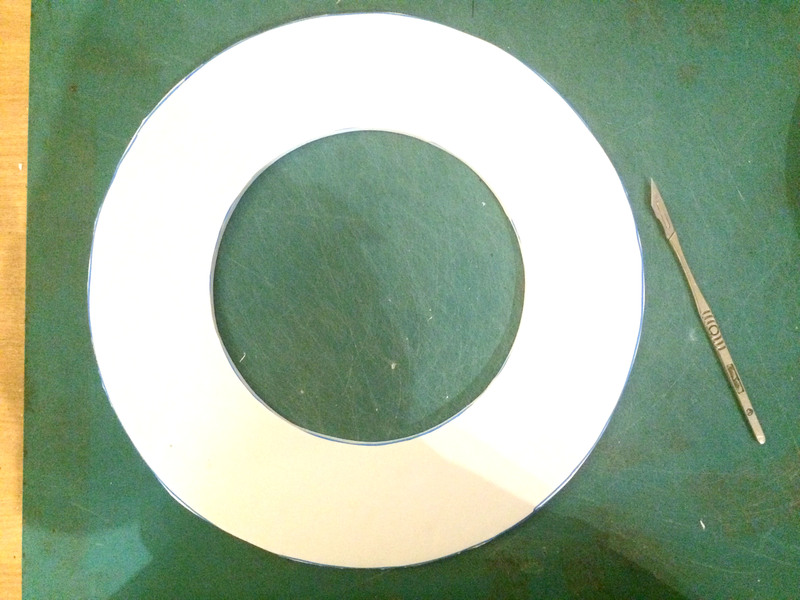 Once the ring is sketched out, carefully cut the ring out using a scalpel and cutting mat. The drawn ring doesn’t have to be perfect. Cut out the foam board ring, being careful not to lose any digits. 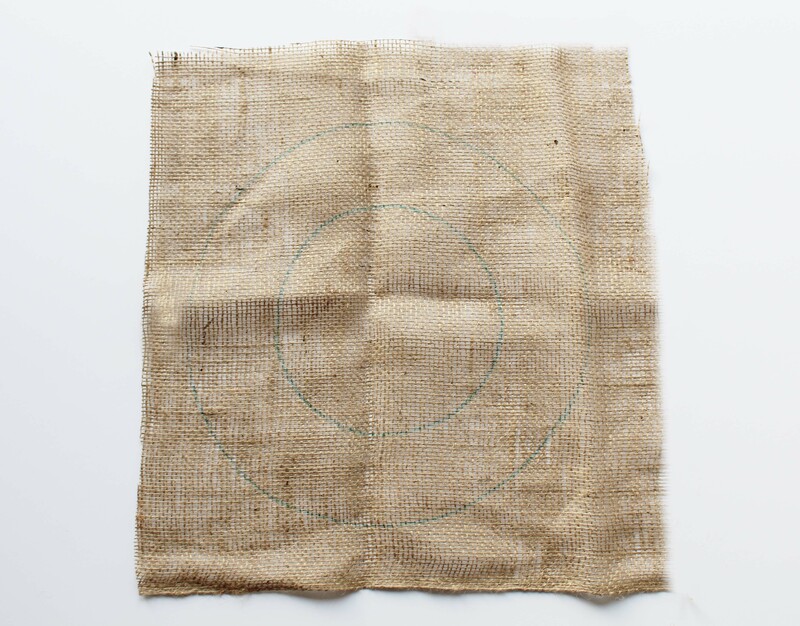 Place the foam board ring onto the hessian, leaving a buffer of at least 5cm of spare hessian around the circumference of the outer ring. 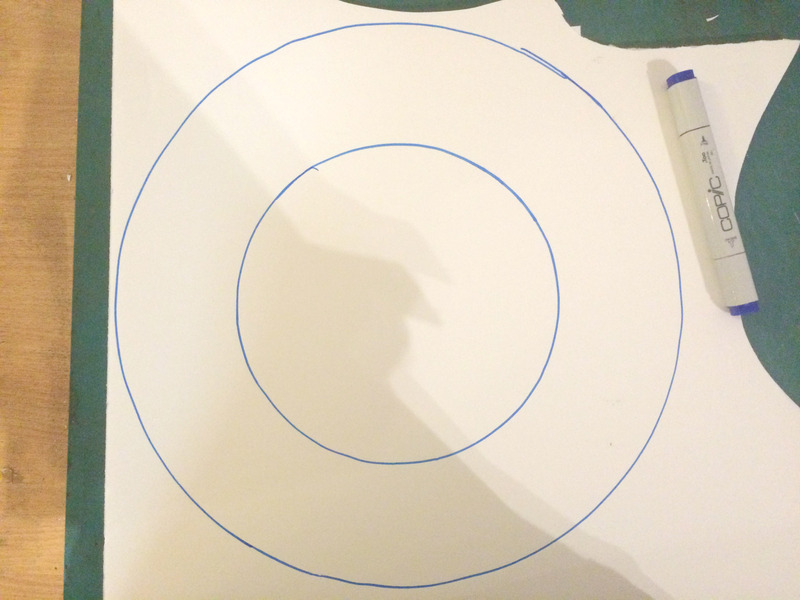 Draw around the inner and outer edges of the foam board ring using a marker pen. 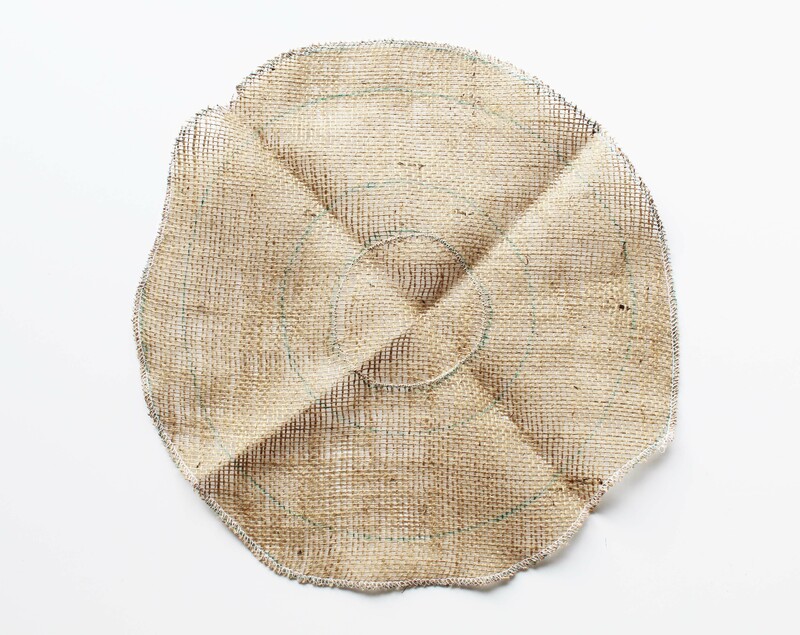 Using placeholder hemming stitch (a wide zig zag stitch), hem the hessian about 3cm from the outer circle of the wreath and approximately 3cm inside the inner circle of the wreath. 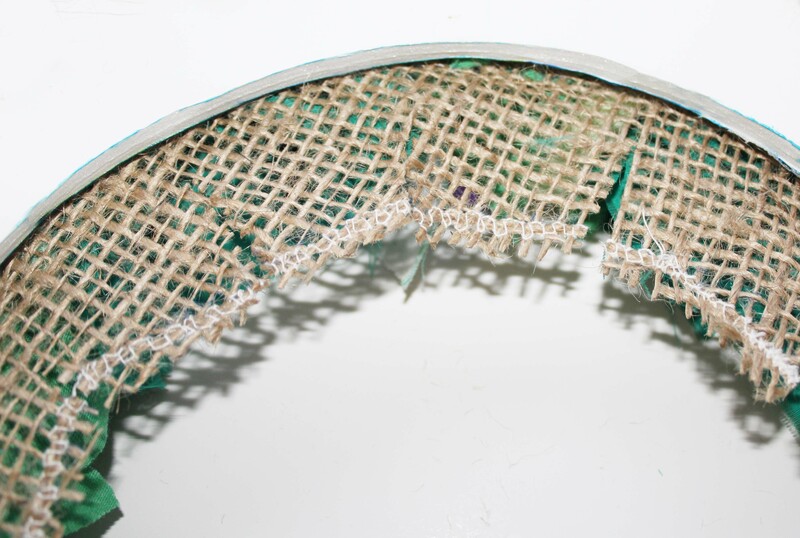 This will stop the hessian from fraying when you rag rug it. Hemmed Wreath Hessian (either pre-bought or hemmed as per the instructions above). Fabric (I like to use red, green, gold and an accent patterned fabric to make my traditional Christmas wreaths). 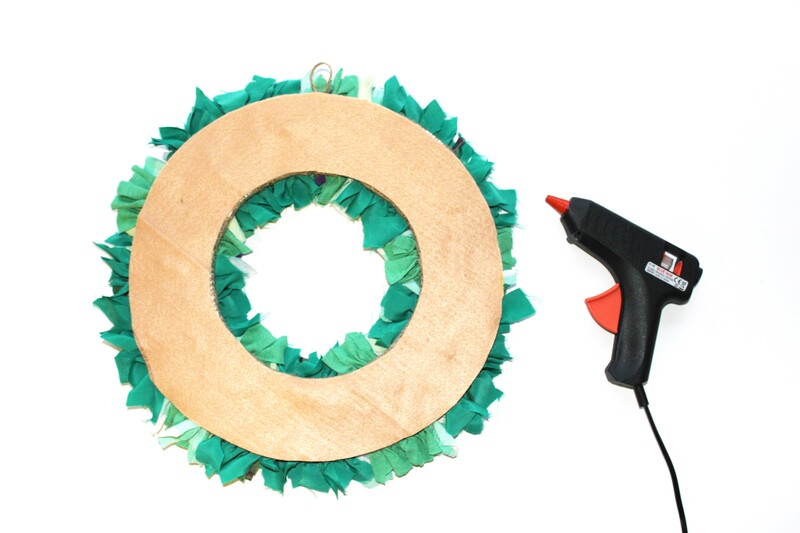 Pre-cut Foam Board Wreath Ring (either pre-bought or made as per the instructions above). To make the flowers in the wreath look particularly great, use rich fabrics such as velvet or shiny fabrics to make them really pop. You can read more of our fabric tips here. 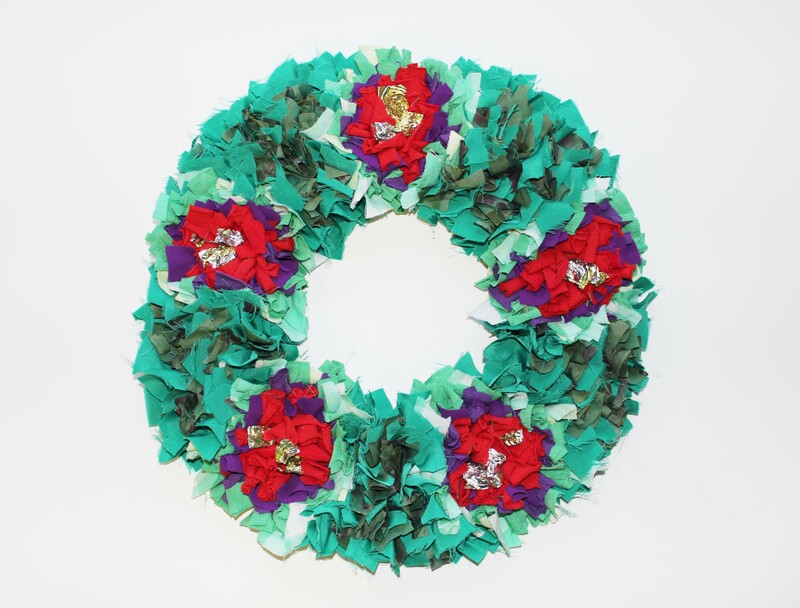 Make sure to rag rug your red flowers right up to the very edge of the marked out wreath ring or they will appear too small once you’ve added the green into the design. Use a variety of different greens (at least three) to fill in between your flowers – this will make your design look more vibrant. Include a patterned fabric amongst your green to add interest. 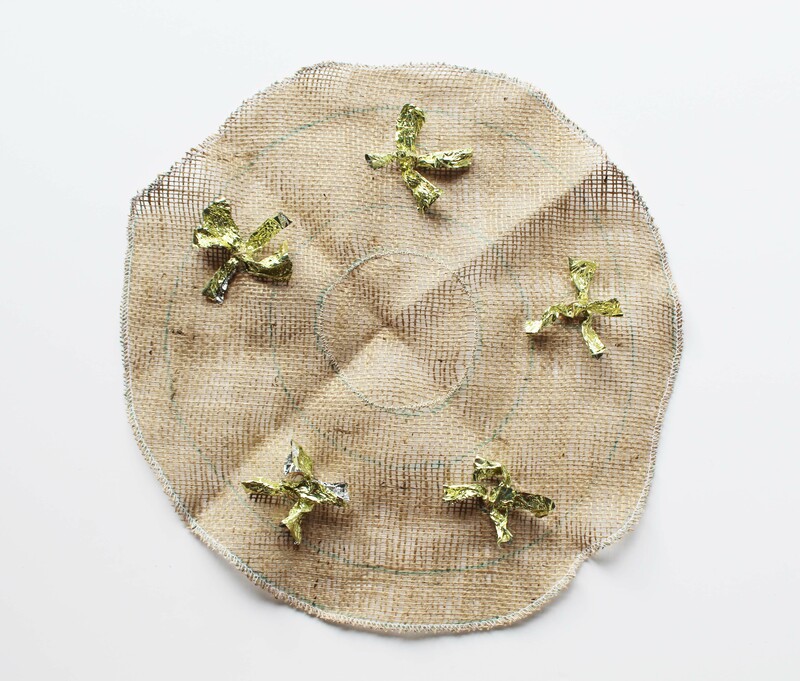 When filling in your green fabric, leave a bit of blank hessian around each of your flowers. This will create space for the flowers to open out. This is the nice part – choosing what design you fancy for your wreath. 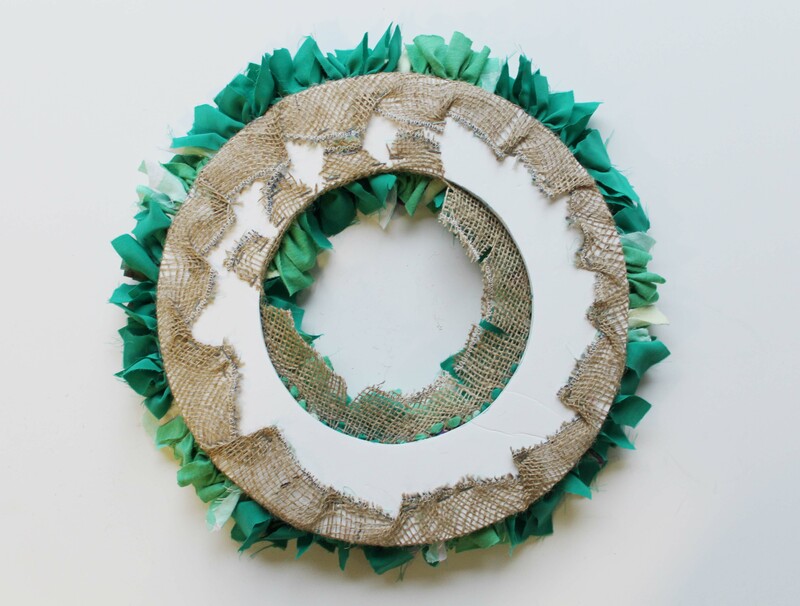 If you’re looking to make a traditional rag rug Christmas wreath then we recommend drawing five circles in the middle of the ring, equidistant from each other. These will become five stunning flowers. 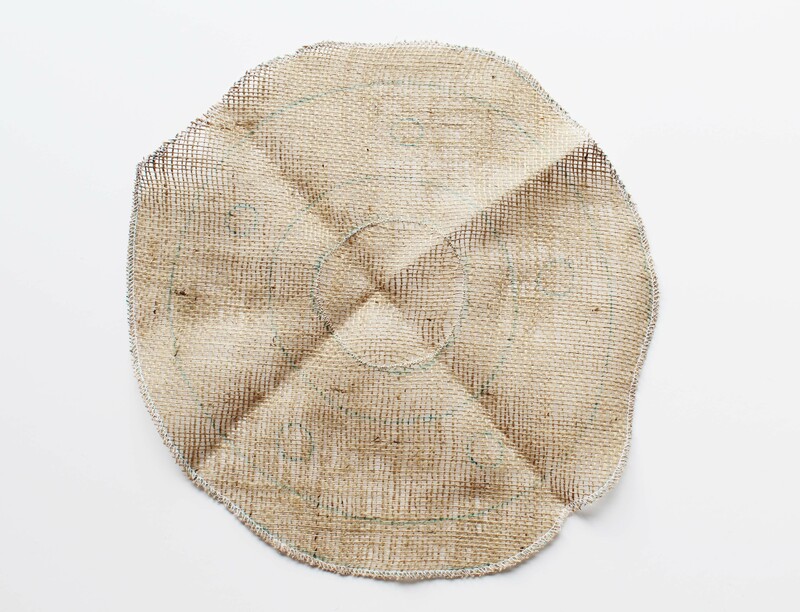 If you have bought your hessian from the Ragged Life Shop then these will already be marked on. Next, take your first red and work around the centres of the flowers in consecutive circles. Feel free to use a few different shades of red, but it generally works best to end on a plain, bold red to help the flowers stand out in the sea of green. When building up the flowers, occasionally turn the hessian over to make sure that you’re not going too wonky. Once your flowers are complete, you fill the rest of the ring with a mixture of different greens. Remember to leave a bit of blank hessian around each of your flowers to leave them space to spread out. 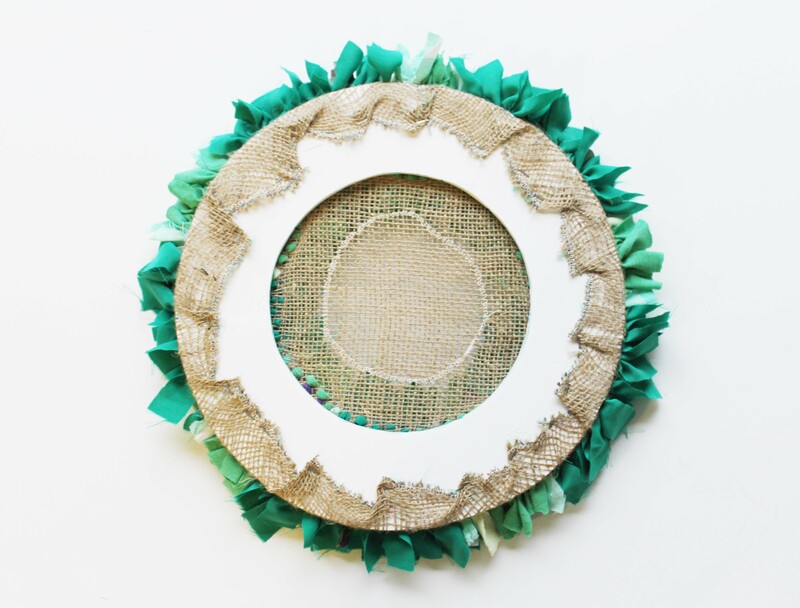 Once you’re happy with how your rag rug wreath is looking, turn the hessian shaggy side down and align your foam board ring with the rag rugged part of the wreath. 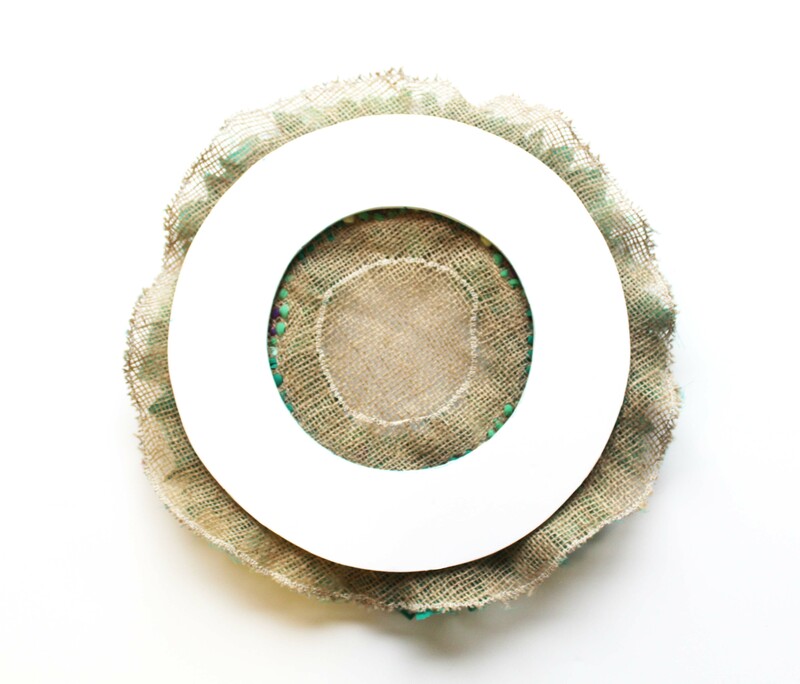 Fold the hessian border back over the foam board ring and staple or glue gun it in place. I generally start with four equally spaced points. Next make slight cuts in the hessian, making sure not to cut too close to the rag rugged part. Next, use the staple gun to secure the inside hem to the foam board ring. The hemming will keep the hessian from falling apart. And hooray, the front will look this! A minor point but it’s really handy to add a loop to your wreath to make it easier to hang. 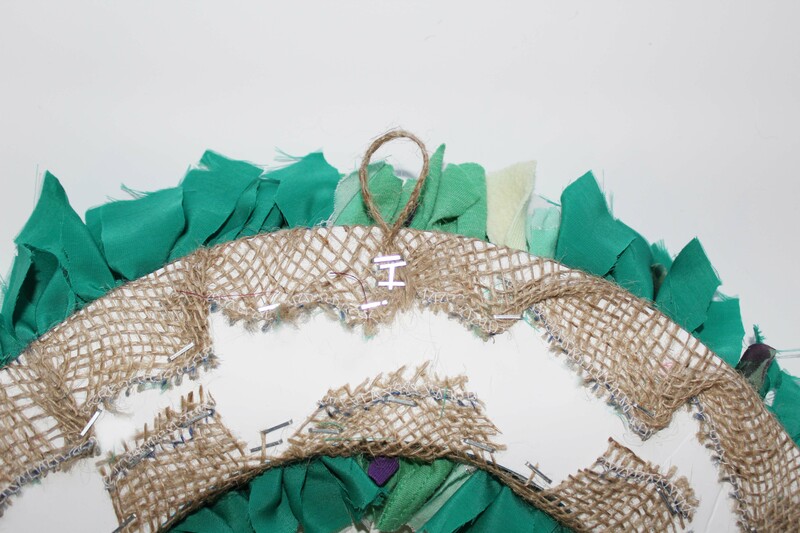 We do this by plaiting hessian strands and stapling the plait in a loop shape to the back of the wreath like below. You can use twine, ribbon or something more decorative as well. 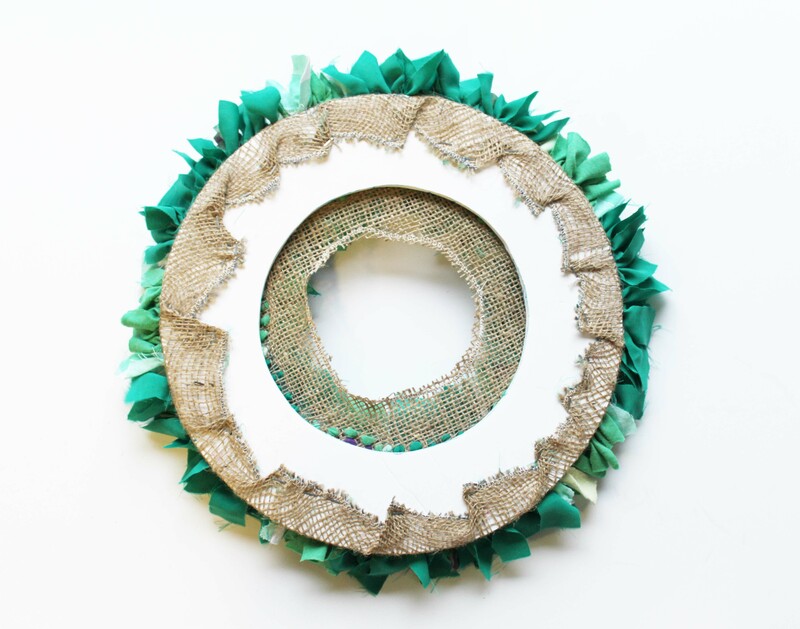 And to end, here’s what your final wreath should look like – Ta-da! 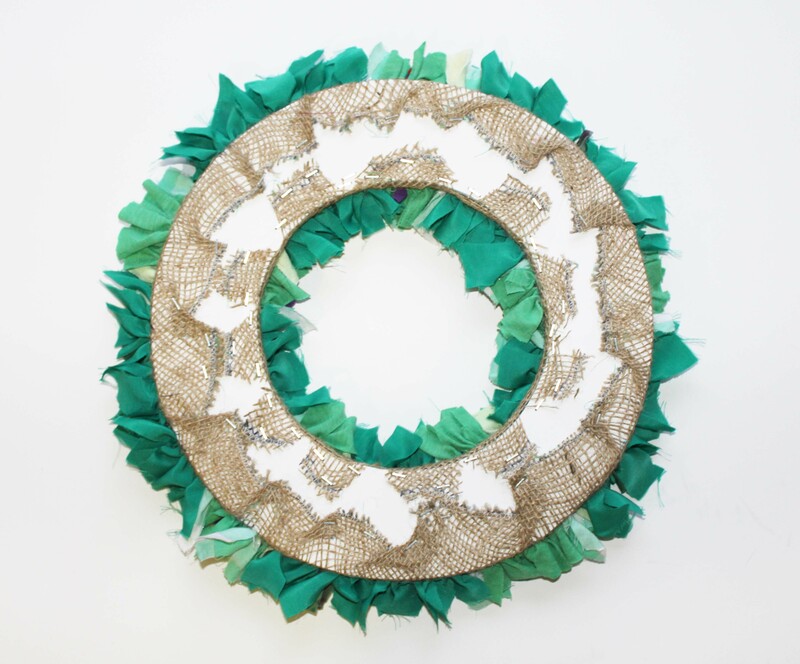 Well, that’s it for a deep dive into rag rug wreaths. I hope some of you decide to give the project a go and if you do, definitely send me a photo at elspeth@raggedlife.com. If you’d like to be the first to see other rag rug projects, why not join our Rag Rug Community on Facebook https://www.facebook.com/groups/RagRugCommunity/or join our fortnightly newsletter here. This entry was posted in How To & Tips, How To Projects, Rag Rug Wreaths and tagged 2014, christmas, Rag Rug Tutorials, Rag Rug Wreaths. Bookmark the permalink. 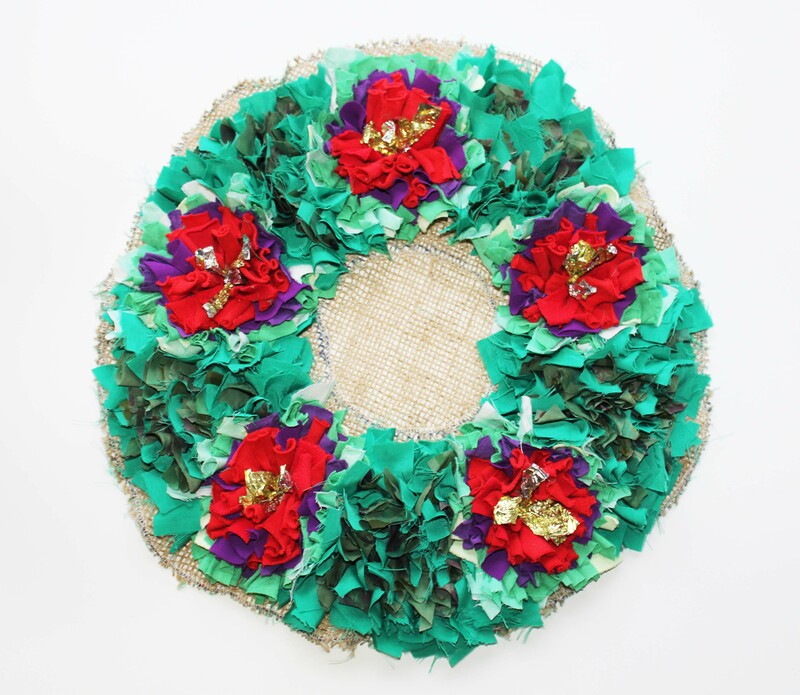 ← Buy a Rag Rug Christmas Wreath today!